Panel Glide blinds are an elegant alternative to roller blinds and verticals these consist of large panels of fabric, hung from overhead tracks, that slide across the window or door. 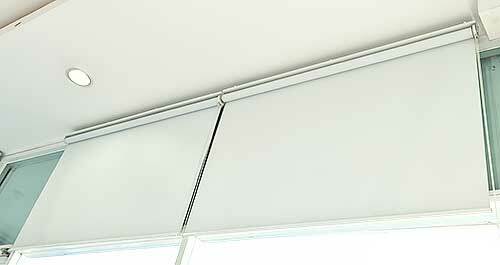 When used as a feature, we can match fabrics with that of blinds or verticals. Controlled via a wand, our panel glides are child safe. Options exist for panels to vary from 2 to 10 and for the panels to gather to either side or be split to gather to both sides or the center. A Left or Right handed system has a minimum of 2 and maximum of 6 panels. For split systems we recommend a minimum of 4 and a maximum of 10 panels. Material options including total light block out, light filtering and mesh. A variation is available to mix fabrics, colours or textures to create a unique look.